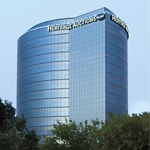 for Direct Sale We are accepting offers until 8:00 AM CT Tuesday, April 30, 2019 on this item that didn't sell in the recent 2019 April 16 Signature Prints & Multiples Auction - Dallas. Ties go to the first offer received and there is no guarantee any offer will be accepted. You will be contacted by 8:00 AM CT Tuesday, April 30, 2019 via e-mail to let you know which offers are accepted. You will then be invoiced and your lot(s) will be shipped as if you had won them in the auction. Condition Report*: Each has mild scattered spots of foxing. Print Grade: 8/10. Each hinged and framed under glass.